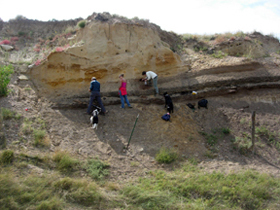 In 2006, we initiated a paleontological survey of Cretaceous deposits in the Pawnee National Grassland (PNG) of northeastern Colorado. The project was spurred by a small but intriguing vertebrate microfossil assemblage collected by Ken Carpenter (1979). Our fieldwork in 2006 and 2007 led to the discovery of 16 vertebrate fossil localities and recovery of more than 300 vertebrate micro- and macrofossils from Late Cretaceous-aged deposits in the PNG. The vertebrate fauna includes at least 32 species of freshwater sharks and rays, fish, amphibians, turtles, lizards, crocodiles, dinosaurs, and mammals. 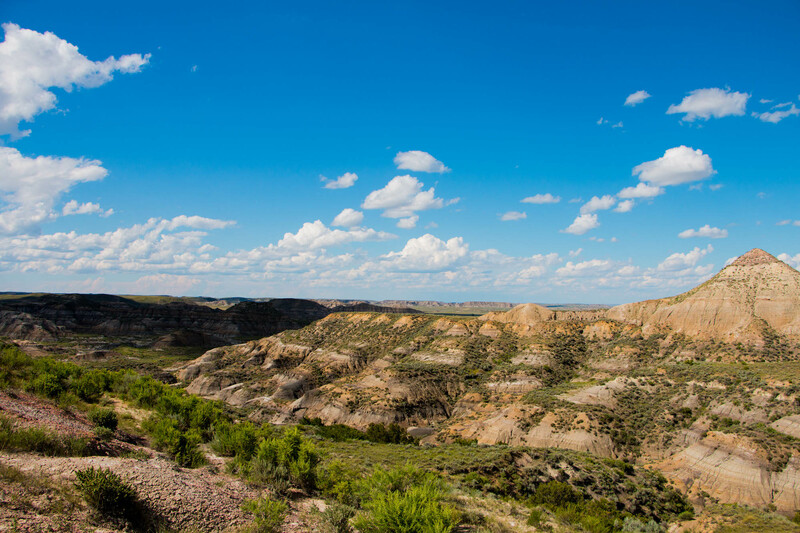 The mammal specimens, which include at least one new genus and species, have particular scientific value and hold promise for interpreting the biogeographic and temporal differences of Late Cretaceous vertebrate faunas of the Western Interior of North America. Compilation of geological data from electric well logs in the area and palynological analysis of collected sediment samples have provided a revised stratigraphic model for the nonmarine Cretaceous deposits in the PNG (Wilson et al. 2007, 2010). Publication: Wilson, G.P., M. Dechesne, and I.R. Anderson. 2010. New latest Cretaceous mammals from northeastern Colorado with biochronologic and biogeographic implications. Journal of Vertebrate Paleontology (30):499-520. Ingrid Anderson crawling at Ingrid’s Jaw locality. Crew collecting samples for palynological analysis.